OK, not exactly an upgrade, but still an improvement over my precedent configuration. You have to know that I used for a long time – years – a dual monitor configuration, something like 6 months ago one of the two monitors went nut and I had to replace it. Obviously it was already discontinued by some time so I had to replace both my monitors, I decided to buy a single Dell U2412M (here is the post I wrote). Nothing to complain about the monitor itself, also, I’ve no problem to say that so far it is one of the best purchases I ever did; the “problem” is that one monitor can be as big as you want but two smaller monitor are always better than one. 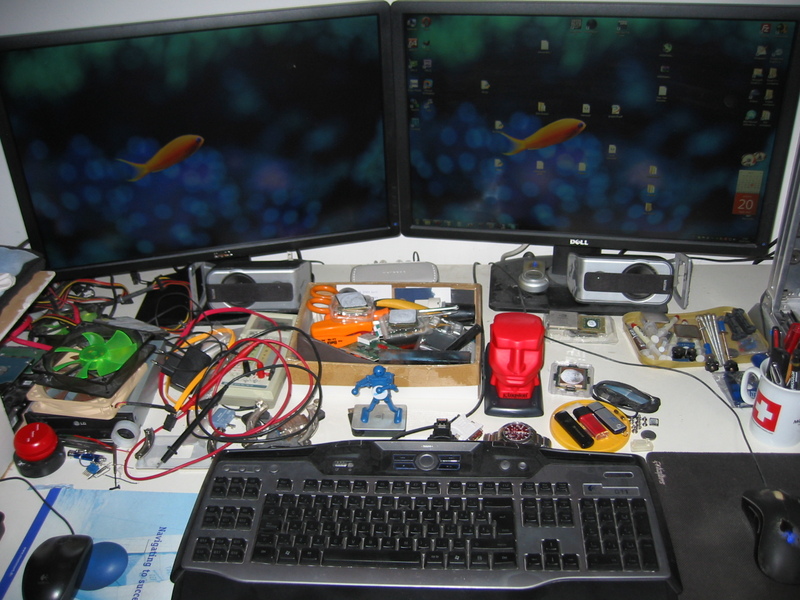 Explain why two smaller monitors are always better than a bigger one isn’t simple at all, but trust me, everyone who have used at least one time a multiple monitor configuration will be of the same thinking. So today, after had used for 6 months or so a single monitor I bought another one; Below you can see a photo. So, finally, I’ve rebuild my dual monitor setup…and that means: productivity +120%. Also there is a second good news: finally nvidia had fixed the damn graphic driver so that even if two or more monitors are plugged in, the graphic card will still be able to switch between the 3d and 2d profiles.